Clash of Clans Clan Wars! Clash of Clans - Best MomEntS!! Clash of Clans - Funniest Raid Ever! 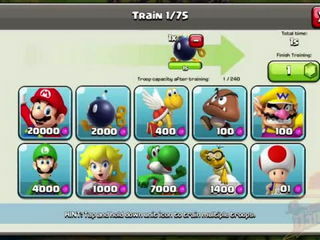 Downloaden Sie Clash of Clans Town Hall 5 Hybrid Base, Clash of Clans- Live Action Movie Trailer, Clash of Clans Clan Wars!, CLASH OF CLANS vs MARIO, Ignored (Clash of Clans Song), ? JJ Lin - ? Variation 25 Clash of The Souls ? HD ? MV, Final Fantasy 7 Clash of Titans, Zeno Clash II Gameplay Trailer PS3-Xbox360-PC, Clash of Clans You and This Army Official TV Commercial, Clash of Clans- You and This Army Official TV Commercial, Federer-Sharapova vs Nadal-Azarenka at Nike Clash of The Champions, Federer-Sharapova vs Nadal-Azarenka at Nike Clash of The Champions, Federer-Sharapova vs Nadal-Azarenka at Nike Clash of The Champions, Federer-Sharapova vs Nadal-Azarenka at Nike Clash of The Champions, Nike Clash Collection Production, Clash of clans - Channel 9 News, Clash of Clans - Best MomEntS! !, Clash of Clans - Funniest Raid Ever! Videos kostenlos! 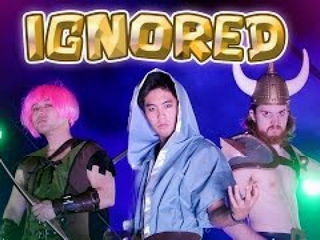 Herunterladen Clash of Clans - Funniest Raid Ever! Video zu Ihrem Handy oder es spielen.Sie werden sicherlich die faszinierenden Szenen genießen. Bei PHONEKY Free Video Service können Sie mobile Videos und Filmclips verschiedener Genres herunterladen und abspielen, von Musik und Sport bis hin zu Autos und Funny Videos. Um die Top 10 der besten Videos zu sehen, sortiere einfach nach Beliebtheit.